As I start a new year of running, training, races, and potential PRs, I thought it would be fun to look back and reflect on all that I have already accomplished. I ran 14 races in 2014 and achieved PRs in all distances except for the 10K, which I did not run in 2014. I also ran my first and second 1/2 marathon and my first 10 mile race. I did a race review for each race I did, but it was fun to go through all my races to date and note my best times in each distance. 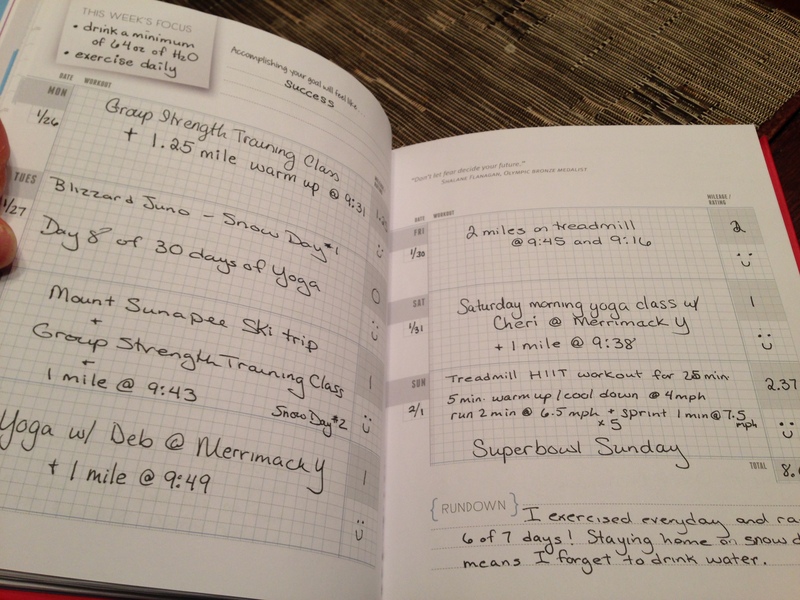 2015 brings with it many exciting things, such a new training journal, working with a running coach, and challenging new and different races. My running goals are: stay healthy, run more new races and less repeat races, run an inaugural race, run a 2:00 half-marathon, do strength training 2x/week, and run my 1st marathon [scary thought!]. So far so good. I enrolled in a group strength training class which meets Mondays and Wednesdays and goes for 7 weeks. I have also registered for my first inaugural race – 1st Annual Skirt Chaser 7k – which also meets my goal of running a new race. Finally, on 2/14/15, I will meet with my new running coach – http://www.happyfitmama.com to discuss 1/2 marathon training plans and general running goals. I have registered for 5 races in the first 6 months and think I will stop at that for now. 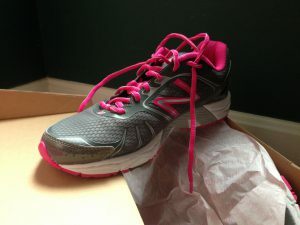 I am also in the process of finding the perfect pair of new running sneakers. 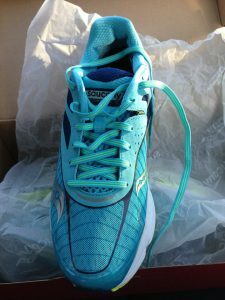 This has been a process, with multiple returns [2 Saucony and 1 New Balance] and purchases. 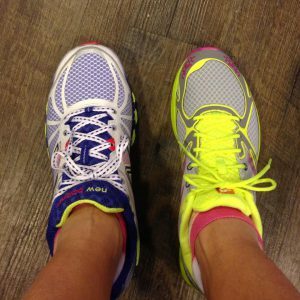 I now have 2 pairs of New Balance [ 770v4 and RC1400], which I am trying with different inserts and socks on the treadmill before committing to keeping one or both.